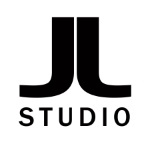 Welcome to Image Nation at JL Studios - a family run business offering professional quality photography, a great experience and a range of products and services for everyone. Let us "Unlock your Imagination" with our Superhero photo session, our Fairy and Elf Enchanted Forest, Peggy Sue and Vintage photography with fabulous lighting, backdrops, props, costumes and a little bit of imagination. Our photography studio services include Newborns, Mums to be, Family and Children Portraits, Model Portfolios, Makeovers and Boudoir, Personal Branding & Corporate Photography. Our themed sessions include Superheros, Fairies & Elves, Peggy Sue & Vintage Makeover shoots.